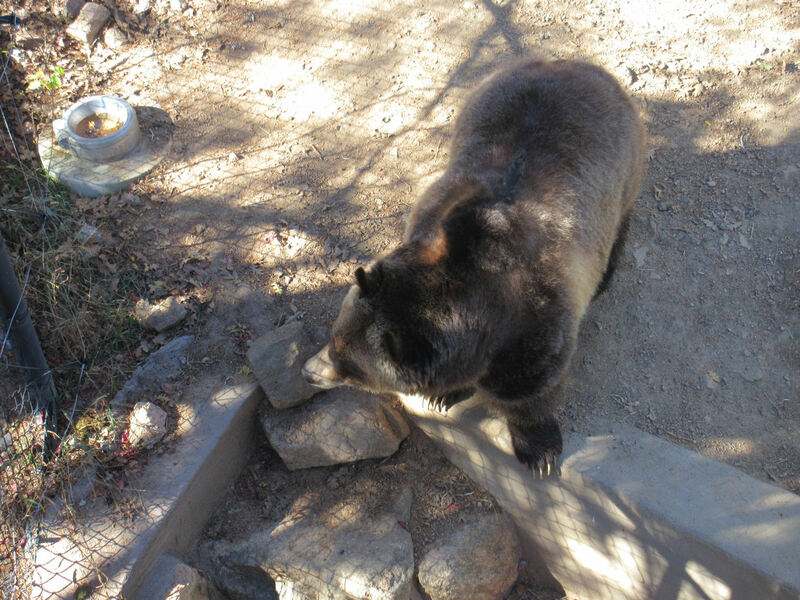 The Springs in Fall — 2015 Photos #12: A Merry Mountainside Menagerie « Midlife Crisis Crossover! 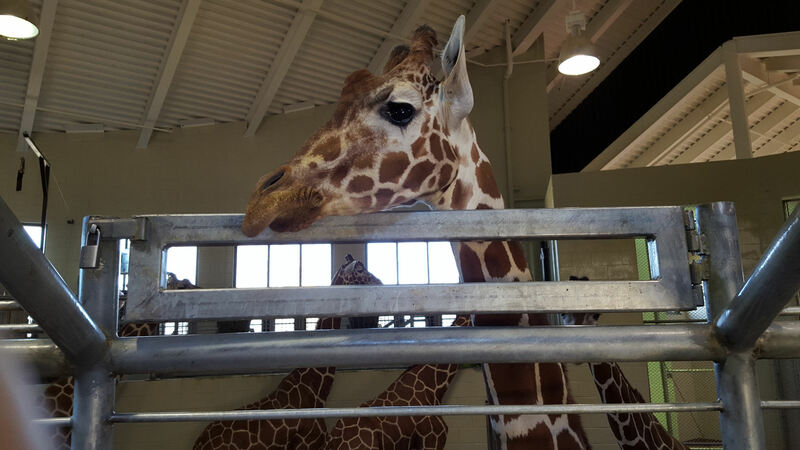 The giraffes had space both indoors and outdoors. In the mornings, you’ll find them where the food is. 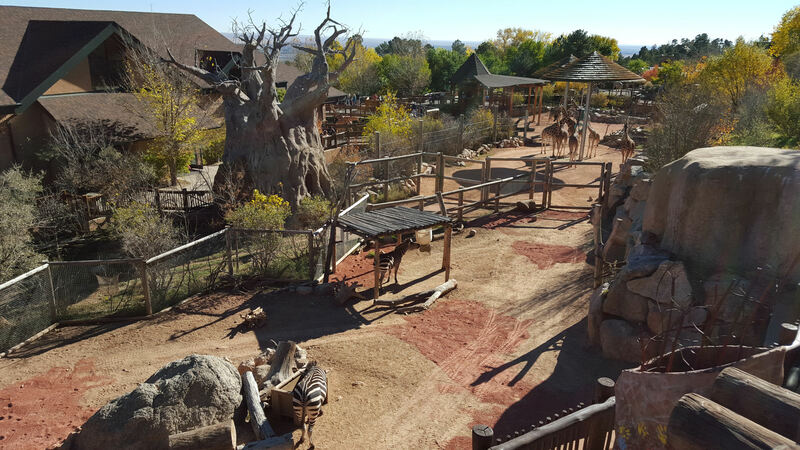 If you read Part 10 and Part 11, you saw a lot of me nattering on about the Cheyenne Mountain Zoo, that fabulous nature spot with animal pens up the side of a mountain, but not so much about the zoo animals beyond the meerkats. This, then, is the one with a bunch of other animals in it. Animal areas enfold, overlap, and snake around each other the further you go up the mountain. In some spots the scenery is as eye-catching as the wildlife. 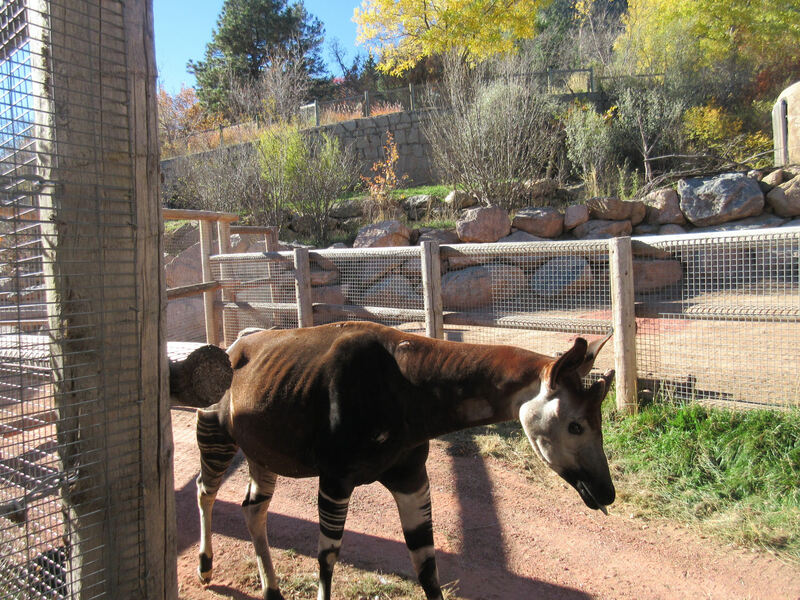 The okapi: nature’s Frankenstein’s pony. Mountain lion, staying woke, gazing into your soul. 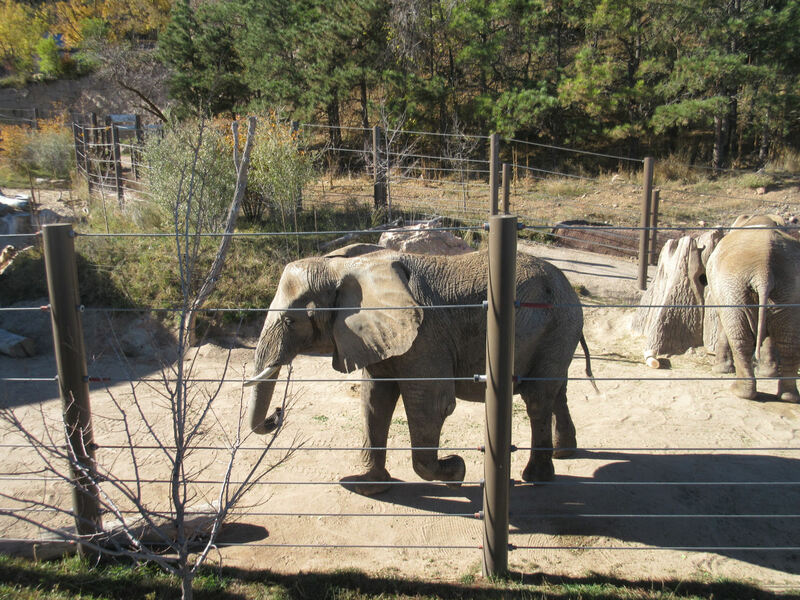 African elephant getting in a brisk morning walk. 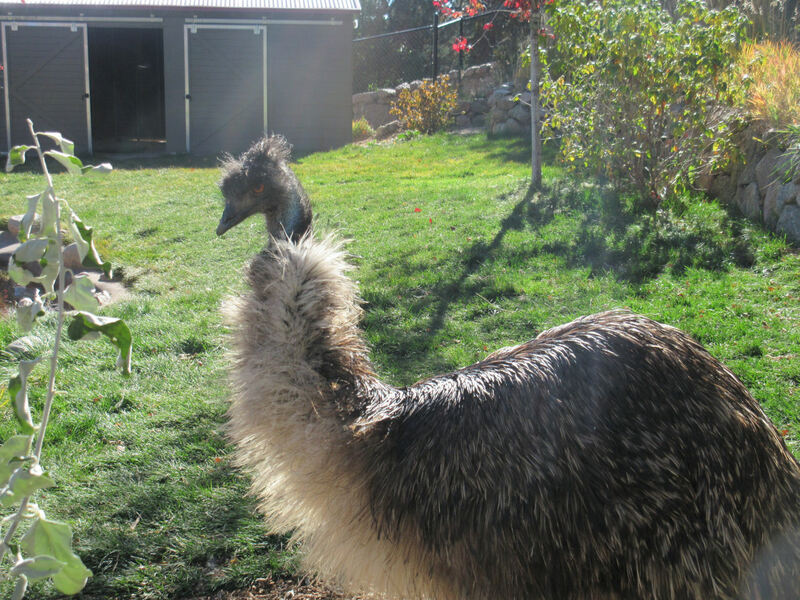 The emu demands just one good reason to trust you. 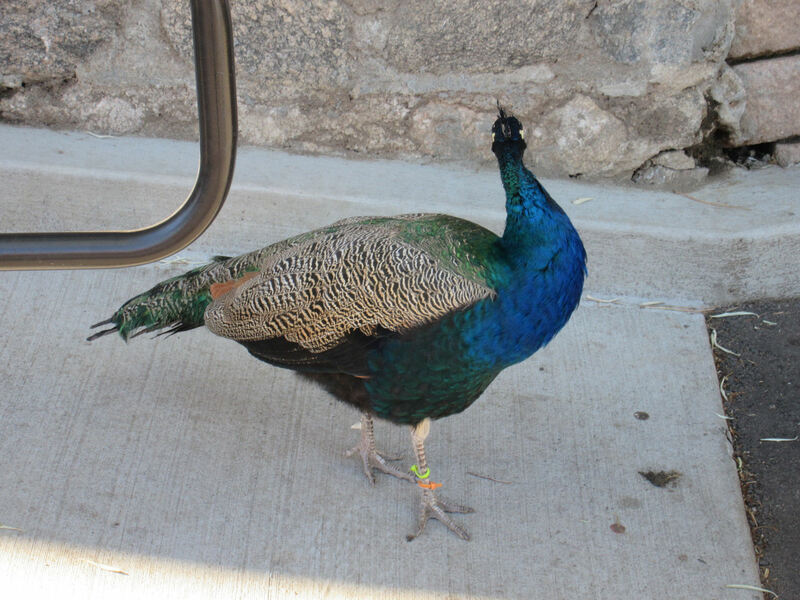 This peafowl wasn’t caged or even behind walls — just wandering about the same sidewalk as the rest of us gawkers. 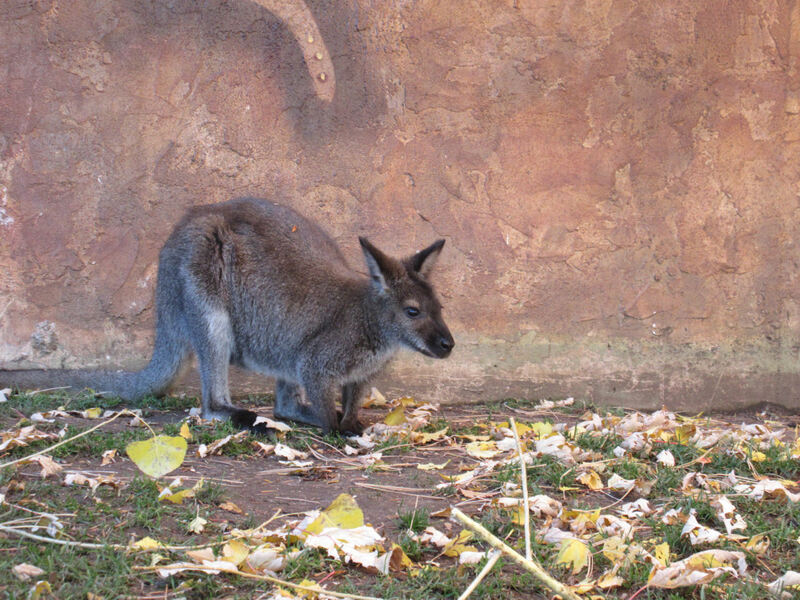 A red-necked wallaby contemplates which parts of the ground are edible and which are just carpet. 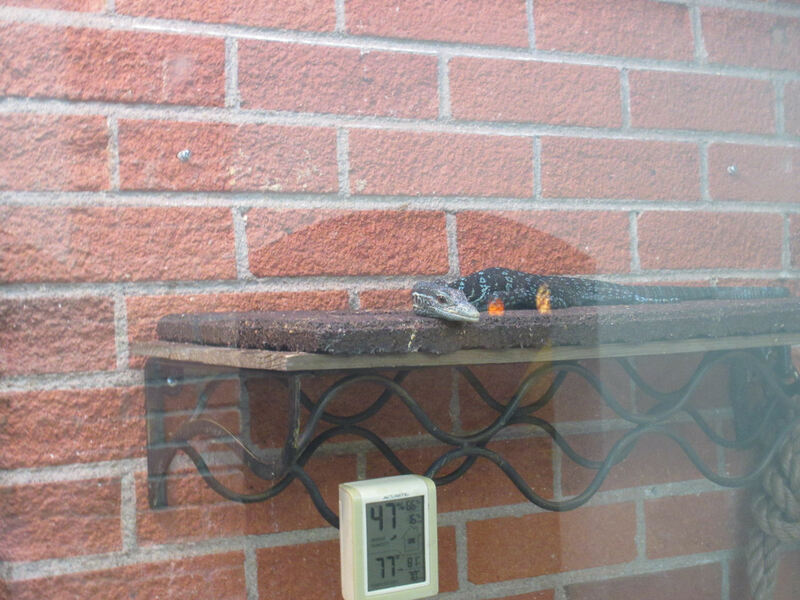 The Scutes Family Gallery is an indoor habitat for lizards and other residents not too keen on Colorado weather. 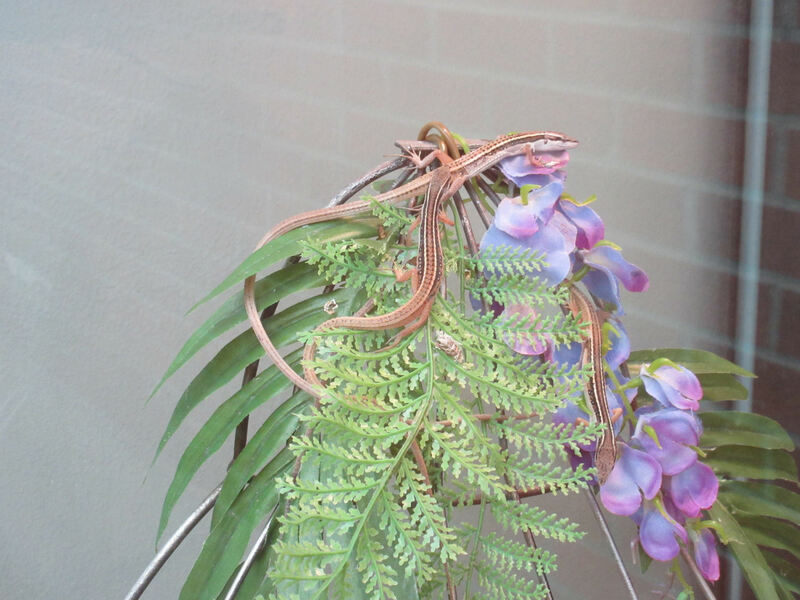 Their decor was imaginative and colorful, such as the plants supporting these long-tailed grass lizards. I’ve opted to post a closer shot of this blue tree monitor, but the entirety of its cage looked like an antique shop booth. Most zoo snakes sleep all day and only show vim ‘n’ vigor when paying customers are gone for the day. 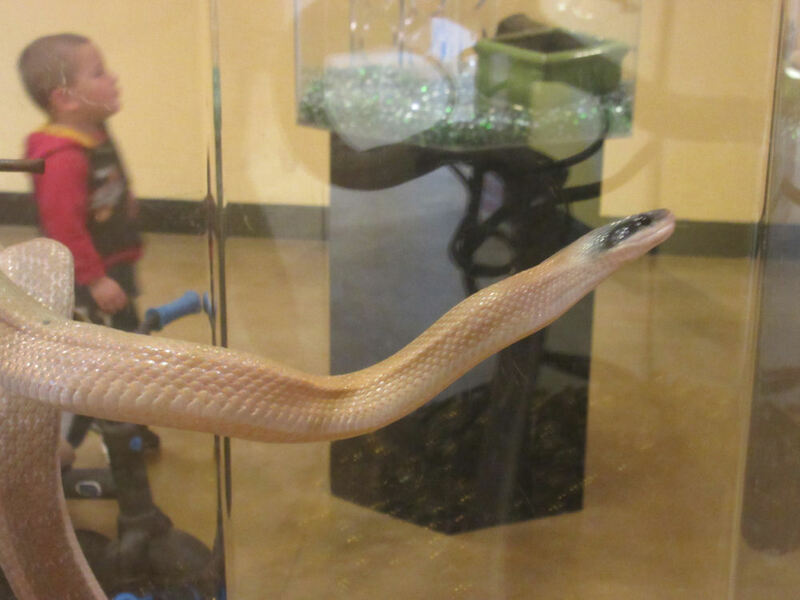 Ridley’s cave snake is more of a carefree showoff. 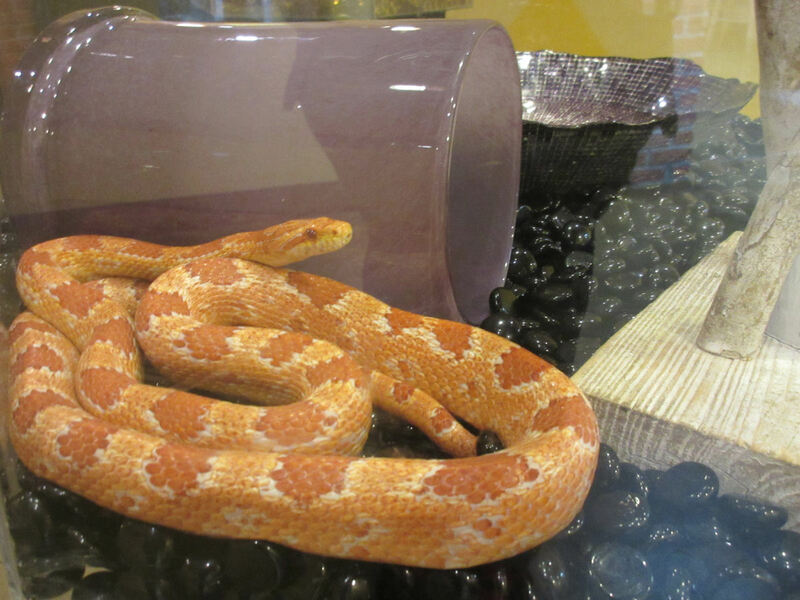 This Reverse Okeetee Cornsnake reclines on a posh bed of polished rocks and snuggles with a fancy ten-dollar Yahtzee cup. 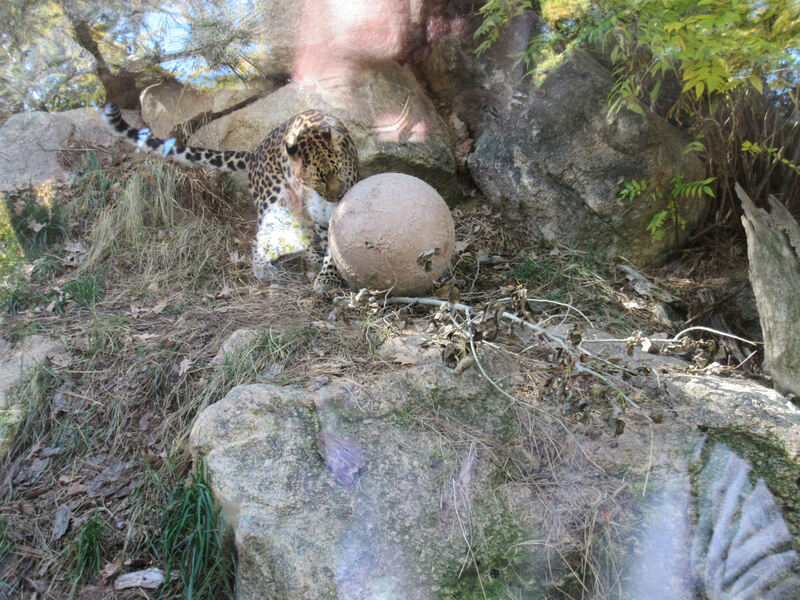 Snow leopard plays ball to pass the time till actual snow arrives. This grizzly bear is disgusted at this year’s non-diverse Oscar nominations and thinks its cousin in The Revenant was totally robbed. 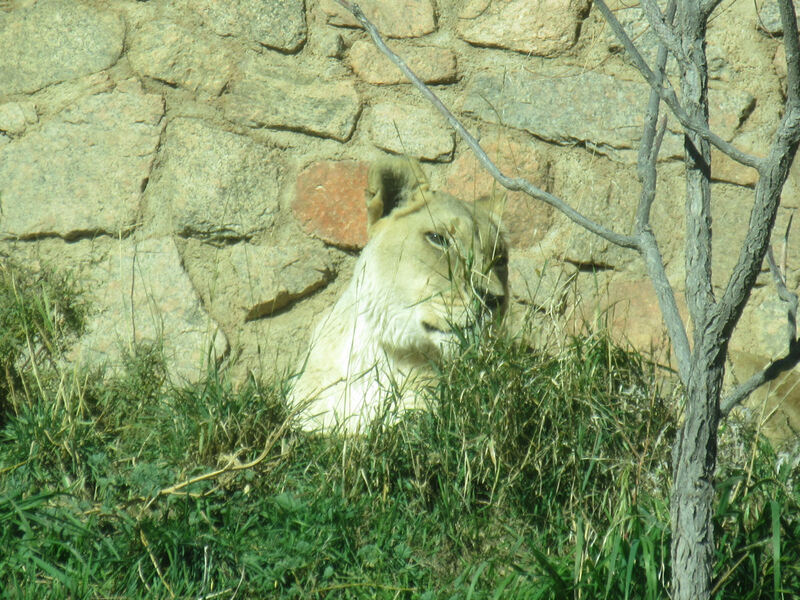 Admittedly, a few animals were sleeping like you’d see in any other zoo. 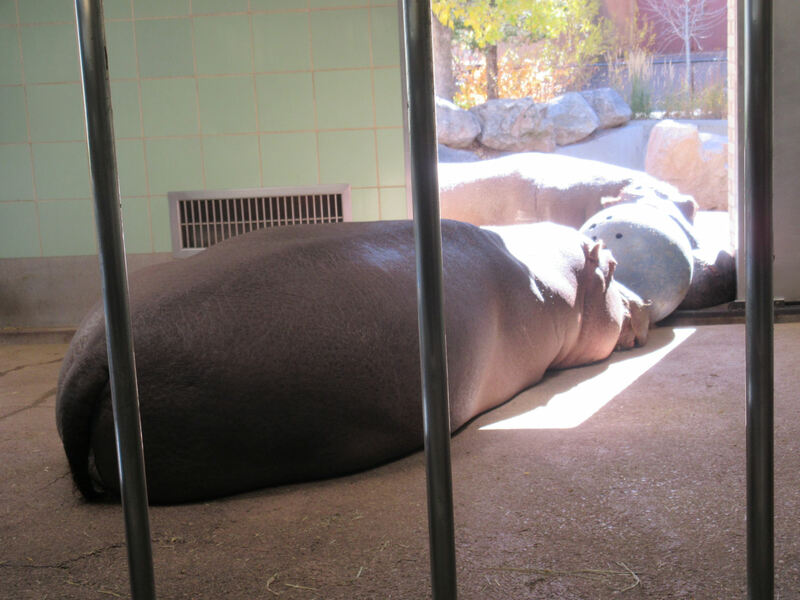 But I’m sure these hippos had just finished a grueling game of hippo-ball and were probably between matches. 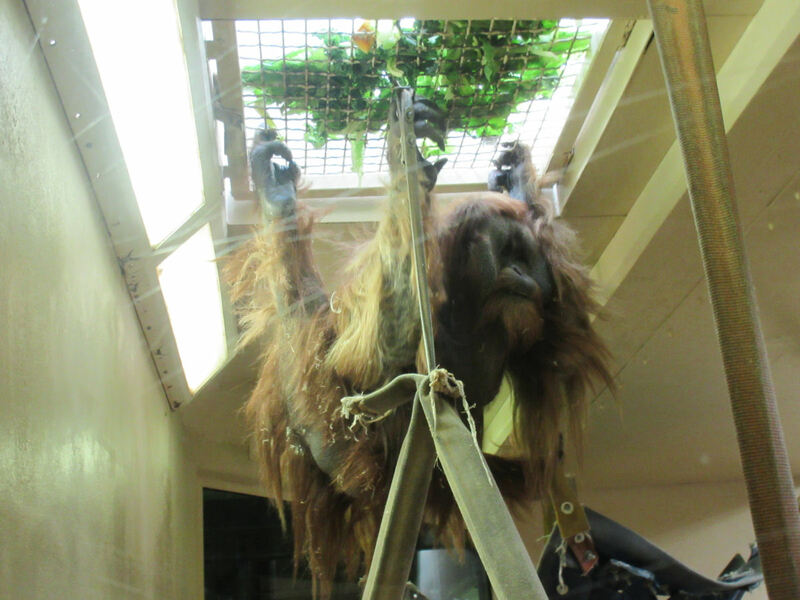 Some primates hung out outdoors, while others were in indoor pens like this Sumatran orangutan, feeding on leaves plucked through the ceiling grate. As I walked through the Primate World pavilion, I also got to explain to a couple of kids how smashed-penny machines worked while I pressed a couple of handy souvenirs for my absent wife. The western lowland refused to answer any questions about this disconcerting window damage. 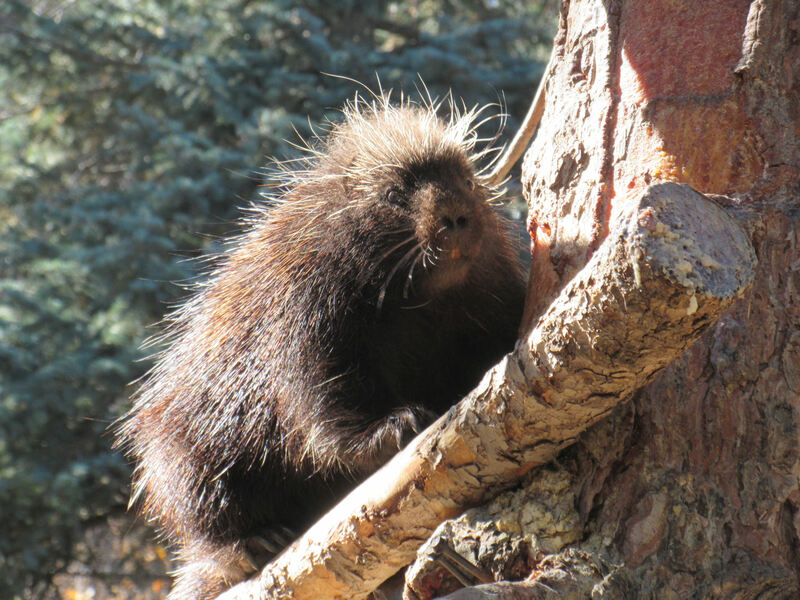 This was by far the most industrious porcupine I’ve ever seen — crawling across limbs from one tree to the next, then holding on to a trunk with all fours as it slowly climbed down, lowering itself a few centimeters at a time, till it reached bottom and went its merry way. This is less than half the pics I took, but you get the idea: animals! 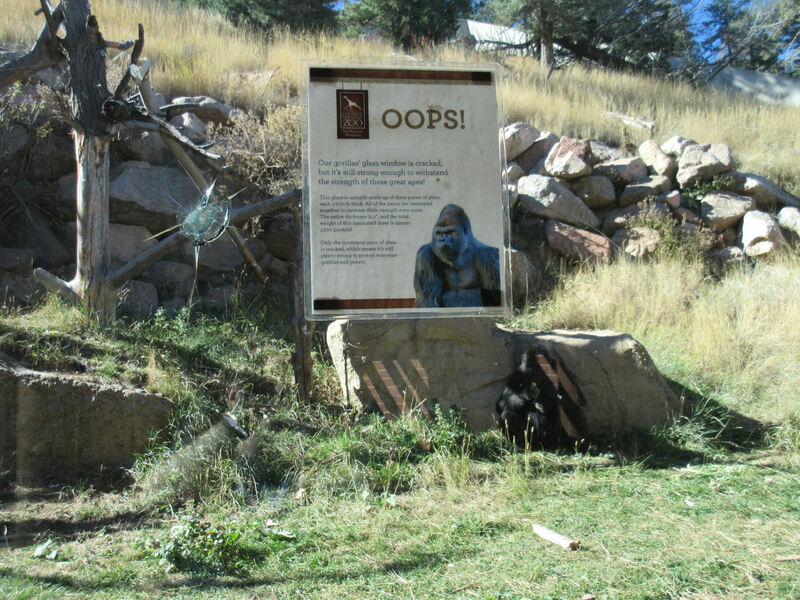 And after I’d had my fill of other lifeforms, the mighty Cheyenne Mountain offered one more attraction I couldn’t refuse to investigate.